The Fairfax Mantel Shelf is a beautiful solid hardwood shelf that is contemporary in design and features a slab of stone that serves as the shelf top. 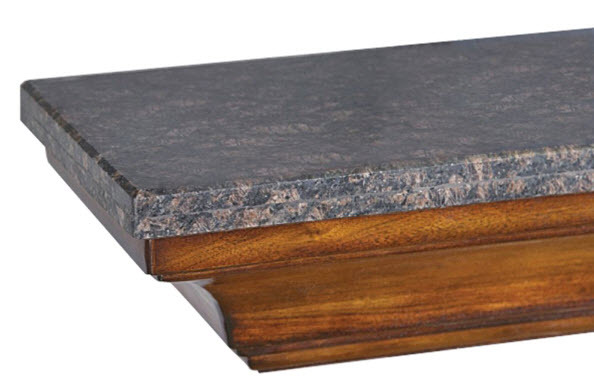 The thick slab of stone and its natural colors are sure to go well with any interior decor. 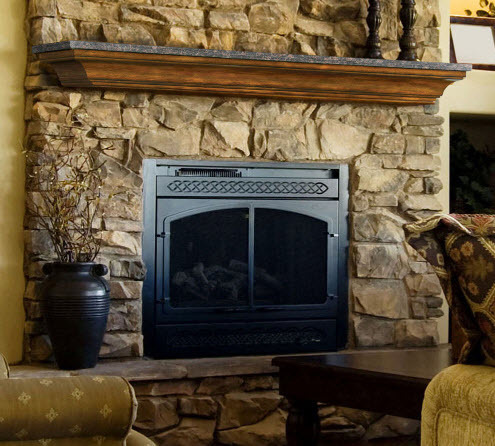 The mantel shelf features straight lines and a sharp design that is sure to add beauty to your home and hearth. The Fairfax Mantel Shelf 60" 72"
Overall Height: 6 3/4" 6 3/4"